A couple of weeks ago, during a hospital visit for unwanted contractions, the nurse in L&D triage called me back as gravita six, para three. That means I have six pregnancies and three births under my belt, and at the very least (I’d like to think) it gives me an air of credibility when I walk into the Labor and Delivery ward saying I’m having contractions. Probably because none of them remember the two or three false alarms I had with Anselm, but you know, that was back when I was a gravita four, para two. Things have changed since then. Well anyway, if being gravita six para three doesn’t exactly make me an expert on when to head to the hospital, I’ll take that as an excuse to have been in the dark about PinkBlush Maternity for the majority of this pregnancy. 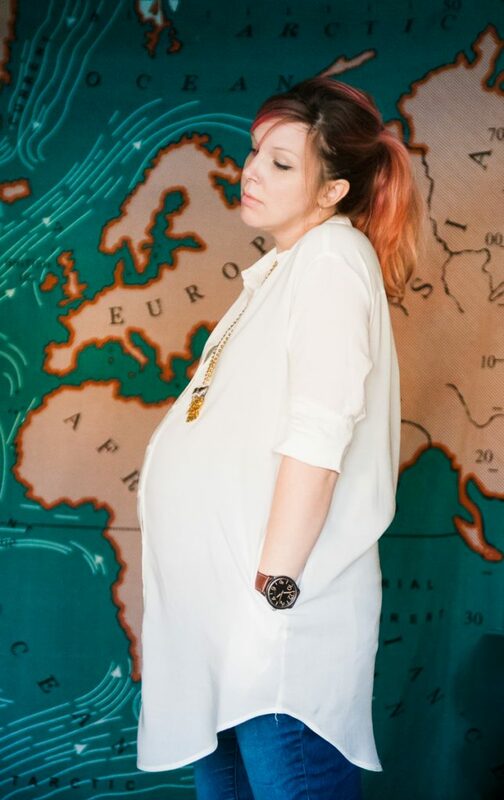 This is my fourth go-round with maternity wear, but where have I been? Because I’m really kicking myself that I haven’t heard about them before. 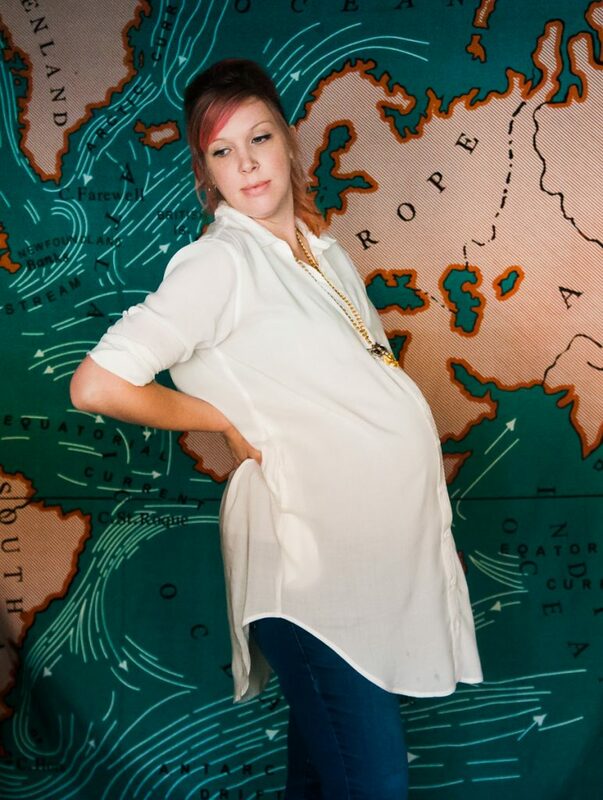 I was already thirty-something weeks pregnant when PinkBlush Maternity contacted me to collaborate, so it was a priority for me to find something that would work not only for these very large-bellied last few weeks of pregnancy, but something that I could easily use for postpartum, too. I was taken with this button-up tunic the moment I saw it! I thought the length would make it super versatile, the button-up style would make it great for breastfeeding after baby came, and it has pockets.